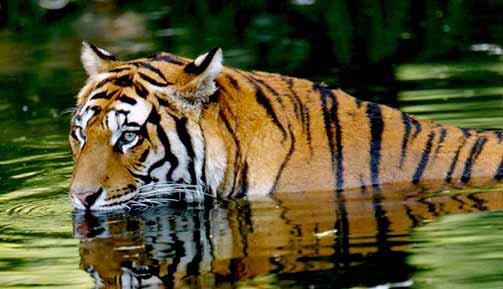 Panna tiger Reserve and National Park attracts thousands of visitors nationally and internationally. 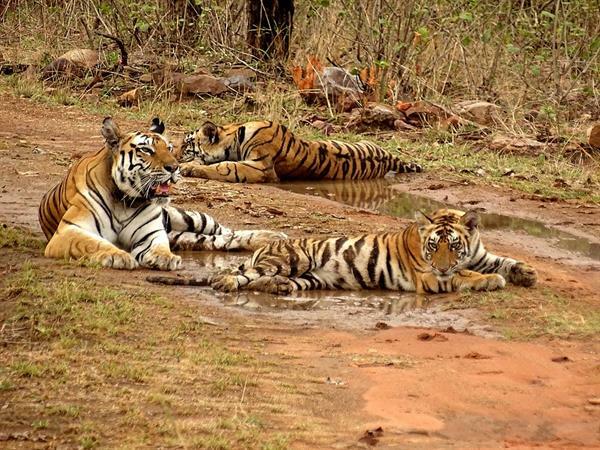 This Wildlife sanctuary in Madhya Pradesh is spread across over 540 square kilometres. Apart from the wildlife, Panna National Park also has many natural attractions like Pandav Falls which is one of the famous waterfalls in Madhya Pradesh. Panna is one of the most interesting travel destinations in Madhya Pradesh. Known for its tigers, this wildlife park in India is worth visiting only when you get to have a sight of these animals. Summers is usually a time when one has a chance of spotting animals visiting the water holes. During summer, if one plans to go for a safari early morning, there are huge chances of spotting tiger and other animals who visit these water holes to quench their thirst. But summers are really hot and the temperature in summers likely reaches its extreme. So it could get a bit unbearable for the tourists who visit Panna National Park. The ideal time for visiting this Tiger Reserve in Madhya Pradesh is during winters, when the climate is pleasant and then is likely chances of spotting animals too. Best time to visit: November to March is the best season to visit. 1. If you wish to spot lots of animals, then the ideal time for safari is early mornings when animals visit water-holes. 2. 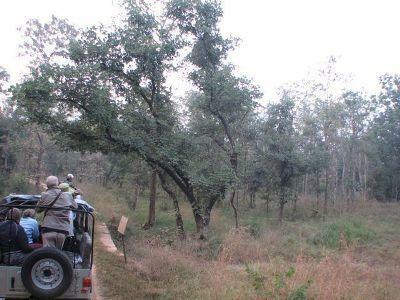 Since Panna National Park does not arrange for any transport facility, its ideal to hire a four wheel drive petrol vehicle from Khajuraho or even Panna. 3. Do carry enough drinking water when going for a safari in Panna National Park. 4. Please don't carry any firearms when you visit the forest for jungle safari. Avoid smoking or lighting fire in the reserve. 5. Never get out of the vehicle for taking pictures or for any other reasons, as that could be too dangerous. 6. Avoid using strong perfumes or scents while visiting Panna National Park. 7. Don't litter in the reserve, make use of the designated bins for throwing the waste. 8. The forest authority has complete rights of closing the park for whatsoever reason. 9. Try and wear light shades other than dark shades while going for a jungle safari. 10. Do not disturb or tease any animal that you spot in the forest. Try to be quiet and calm while on the safari. Sometimes these tigers in the tiger reserve could get dangerous to visitors. Please share some safety tips for the visitors to keep their lives safe while visiting this place. Also, can you please share the details of hotels and resorts nearby? I can't find a good place to stay overnight.